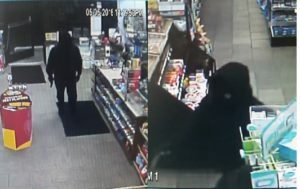 The Camden County Prosecutor’s Office and the Audubon Police Department are seeking the public’s assistance in identifying a man who robbed a convenience store on Thursday, May 5, 2016. 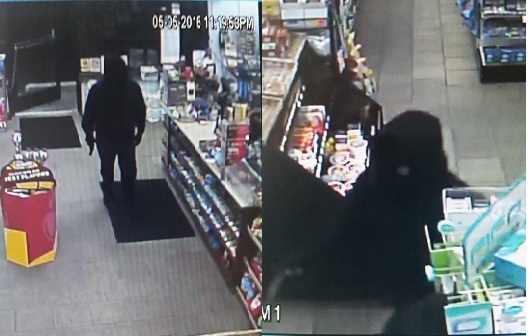 The suspect entered the Speedy Mart located at 222 West Merchant Street in Audubon around 11:23 p.m. brandishing a handgun. He received an undisclosed amount of cash. The suspect is described as a black male who stands approximately 5’11’’in height. Surveillance photos of the man are posted below. Anyone with information is urged to contact Camden County Prosecutor’s Office Detective Michelle Chambers at (856) 580-6070 or Audubon Police Detective Tim Stillman at (856) 547-0715. Information may also be emailed toccpotips@ccprosecutor.org.